Friday. One of them could have been yours. organization. We oppose the Vietnam war. 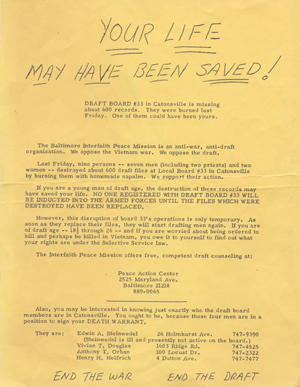 We oppose the draft. by burning them with homemade napalm. We support their action. your rights are under the Selective Service law. a position to sign your DEATH WARRANT.